It is time for another installment in my "My Skin Loves" Skincare review series! 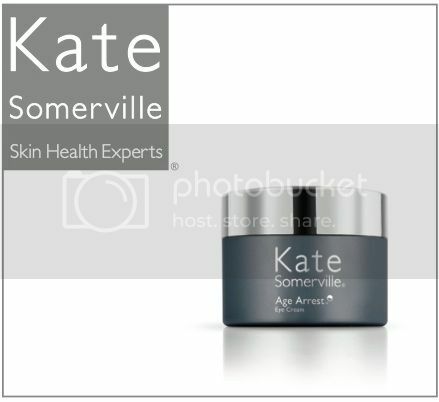 As many of you know, I am a huge fan of Kate Somerville's skincare. The products are really amazing and produce results. Plus, they are gentle and overall just a pleasure to use. 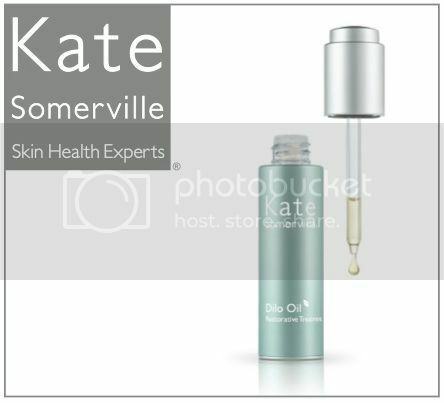 So, I am always excited to try out products from Kate Somerville! There is just "something" about this line...my skin just likes these products! This review is for Kate Somerville's Dilo Oil, Age Arrest Eye Cream, and IllumiKate CC Cream. If you want to hear more about these amazing products, please click "read more" below! I am a bit on an oil-kick lately. Yes, oils are all the rage in the beauty world right now...facial oils, body oils, hair oils, multi-purpose oils, you name it. Oil is where "it is at"! ;) Seriously though, after avoiding oils in products for ages in my more breakout-prone years, it is nice to be able to dive into this category of products and to find out how effective they are! Exclusive to Kate Somerville, rare Dilo Oil from Fiji is cherished for its multiple restorative benefits and promoting healthier looking skin. Rich in essential natural lipids that work in harmony with skin’s own lipid layer, this unique, fast-absorbing oil helps to strengthen the skin’s moisture barrier improving skin hydration, improves the look of skin firmness and elasticity, evens skin tone, and helps to reduce the appearance of lines and wrinkles. 100% natural formula. Fiji Dilo Oil, rich in natural essential Lipids that work in harmony with the skin’s own lipid layer, helps fortify and strengthen skin. Omegas 3, 6, and 9 promote skin health, enhancing the skin’s moisture barrier, replenishing and restoring elasticity. Lupin Seed and Marine Extracts help maintain skin’s firmness, suppleness, and smoothness. I apply a few drops after cleansing and lightly towel drying my face. I drop the oil onto my fingertips and then I gently pat it over my skin to distribute the oil. Then I follow with my usual serum and moisturizer and/or sunscreen. I use in the morning and in the evenings. If I have excess, I rub it into my cuticles. I am very pleased with this oil! First of all, the scent is absolutely amazing! It is a soft and delicate scent that I just adore. This oil immediately hydrates my skin leaving it looking slightly glowy, smooth, hydrated, and plumped. I feel that this product has helped diminish my fine lines, improved hydration of my skin, and has improved the overall radiance of my skin. My only critique of this product is the dropper. Somehow, I can never get just a few drops out of it, I always end up squirting out more oil than I need. Maybe I am just using the dropper wrong? Either way, I don't want to end up wasting any of this precious oil, so I rub excess into other parts of my body like my dry hands and cuticles. Dilo Oil retails for $65.00 for 1 oz. My eye area needs all the help it can get! I have sensitive eyes plus extremely dark circles. My circles are so dark that they almost look like black eyes. I blame heredity, allergies, and overall lack of sleep (I have an infant. So, you can imagine my sleep deprivation...). With my need to refresh and improve the look of my eye area, I am all about eye creams! They are truly one of my greatest "product loves" and one of the reasons that I got into beauty blogging. I feel that I can really put eye creams to the test with my sensitive eyes and need for lightening and brightening the eye area. Fine lines? Yes, I am starting to get them but they are generally not that bad. I apply about a 1/2 pea size amount to each eye in the mornings and evenings immediately after cleansing my face. I really like this eye cream! I find it to be both effective and gentle to my sensitive eyes. The formula has a nice consistency. It is super dense without being at all greasy. This eye cream makes a pretty decent base for makeup. My eye area stays moisturized throughout the day when I wear this eye cream. Plus, it seems to smooth out the eye area and make fine lines less apparent. After a few weeks of use, I noticed a general lightening of the eye area. So, I am very pleased about that. My dark circles need all the help that they can get! Overall, this is a great basic eye cream with some nice anti-aging benefits. CC Creams are such great products for this time of year! Especially when you find one from a skincare brand that you trust like Kate Somerville! IllumiKate CC Cream is just what I need for impressive sun protection combined with anti-aging and skin perfecting ingredients. I love how I can use this in one step to hydrate, protect, and perfect my skin. I use the shade "fair" and I find it to work pretty well with my skin tone. At first I thought it would be too dark and yellowish (it is formulated for neutral-warm skintones, and my skintone is neutral-cool, shade 02 Light is for neutral-cool tones, but I found it to be a tad too dark). However, as soon as I smooth it onto my skin, it seems to blend right in. Overall though, these do seem to run a little dark. It gives sheer coverage and leaves a glowy and shiny finish. The product itself has a light citrus-y sunscreen scent. This product is great on its own for days that I just want to look natural. The SPF 50 is just perfect for sunny Spring and Summer days when I don't want a lot of makeup and want great sun protection. I have a feeling this will be my go-to product throughout summer: skipping foundation and opting for this CC Cream plus a little under eye concealer, lipgloss, and mascara. Perfect for a natural look! Provides broad spectrum UVA/UVB SPF 50+ | PA+++ sun protection. Natural, buildable coverage reveals a flawless look. Improves the overall texture of the skin by evening out tone. Plant extracts rejuvenate skin. Available in 4 illuminating shades: Fair, Light, Light/Medium, Medium. Albatin, Licorice Extract, and naturally occurring Arbutin help to brighten the appearance of discoloration. Moisturizing Sodium Hyaluronate minimizes water loss and improves the appearance of skin. Anti-aging Chicory Root Extract helps to improve the integrity of the skin’s natural barrier function. 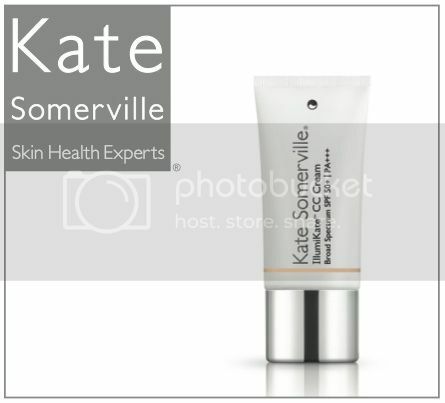 Kate Somerville CC Cream retails for $48.00 for 1 fl oz. I haven't seen the oil, but I will be on the lookout as I am enjoying trying out oils of all kinds these days as well! I have heard amazing things on Kate's products. Definitely on my wish list! I haven't tried any Kate S yet, I have to look at the brand and explore. The CC cream sounds nice! I use Kate Sommerville's ExfoliKate and although it is expensive, I do love the quality and would LOVE to try this out you reviewed. I've been on an oil kick lately too! I'll have to look for that one! I really want to try the CC cream. I am obsessed with the Dilo Oil. The scent is divine and I love that it is soooo muli-taskable. Great post!!! I've heard lots of good things about this brand but haven't had a chance to try it yet! I only tried Kate's exfoliator, good to know other products are as impressive! Sounds like you really love it! 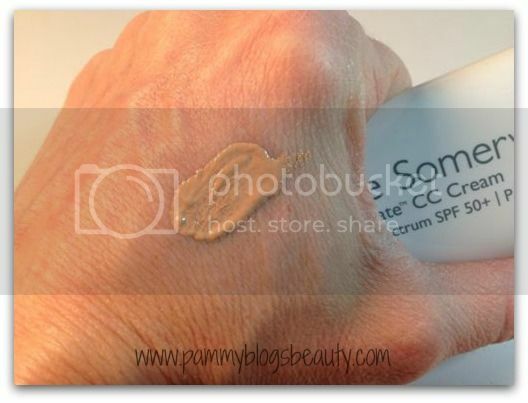 This CC cream is something I will have to try - it seems really good. I'm normally so afraid to try oils because I think I'll break out but this one almost has me sold! I would love to give that cc cream a try! I definitely want to try out that CC cream! It's great to see your skincare must-haves, I'm learning! I love Kate products... I need to try some of these. I love using oils these days, too! I love mixing lots of different ones, like rosehip, sea buckthorn, jojoba, and argan. Like you, the excess always goes on my hands and cuticles - can't get enough! That CC cream looks amazing! i'm a big fan of Kate Somerville products. So many good ones. I am such a Kate Somerville super fan! Love all of her stuff! Oooh I'd love to try the eye cream! Been the only issue the dropper I could get over that, but I would love to try out the CC cream. I haven't tried anything from Kate but you make a convincing argument for us to try the CC cream! That CC cream looks fun! I might have to give that one a try. Kate Sommerville is great! Love the tanning products as well. I've never heard a bad thing about Kate Somerville products. I have heard great things about this line and would love to try some of their products out!